As of right now, Providence College does not have many programs or majors dedicated to the sports industry. Many people believe that in order for someone to join the sports industry they must only take business courses; however, there are many other classes that are a part of the industry such as sports psychology and sports media. The club is open to anybody and welcomes all potential members. PC students have had some opportunities at the Career Expo but many want to take the next step to get more involved in the industry. In the next few years, the club wants to start hosting special guests to come give speeches to the PC community. The club is deciding on which path to take; it is currently based more on professionals lecturing on their careers. So far, the club has brought in four speakers to share their experiences in their respective fields. The first speaker was Sean Holley ’84. After graduating from PC, Holley recieved a law degree from the Catholic University of America. He then went on to become a sports agent for several NBA players and worked for the Big East Conference. He is now a professor at PC, where he teaches the History of Sports Colloquium for the Development of Western Civilization Program. Two of the more well-known speakers from around campus were Nick Rojas, who works with Providence College Athletic Director Bob Driscoll and friars.com. While Rojas talked about his career in media and his work with covering the athletic teams, he also had dialogue with students with aspirations in other sport fields such as marketing, event planning, or even those exploring their options. There are plans to make the club receive college credit since it is similar to a lecture-based class environment. 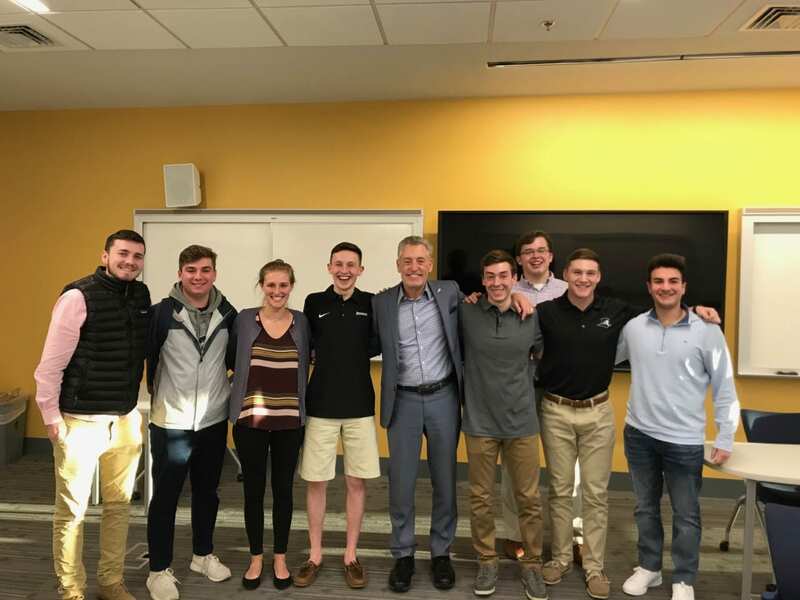 When asking about future goals for the club Collopy stated, “Next year, we are trying to contact the President of the Celtics, Rich Gotham ’86, in order for a group of students to visit his office for him to give a speech then plan to see a Celtics game.” The club is heading in the right direction, as it wants to expand students’ horizons and give them opportunities for the future. “The club wants to help students out and give them meaningful experiences before leaving for college,” said Collopy. Next year, the club will be a part of the Involvement Fair that happens every semester.